The distinctive characteristic of FFXIV is its armoury system, your role can freely switch between classes by equipping different types of weapons. If a battle reaches level 30, in this case, you will be able to acquire soul crystal, which your class is turned to be a job, this following is relevant FFXIV classes and jobs. 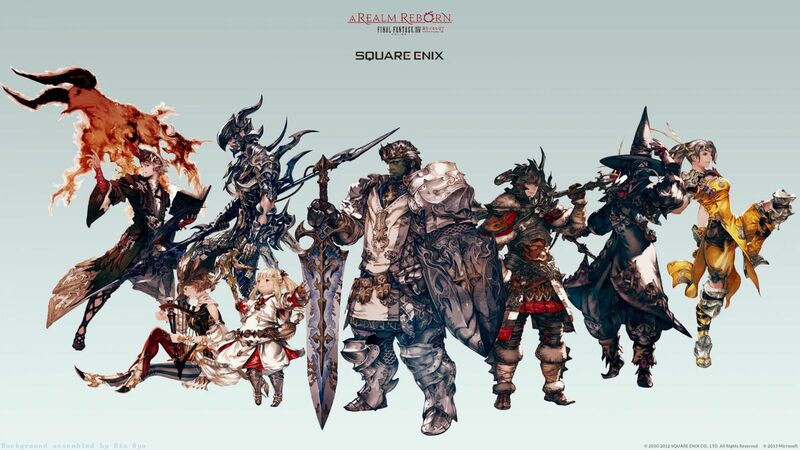 More FFXIV hot news, stay tuned official website: https://www.ffxiv4gil.com. Rogues (ROG) use acrobatics, misdirection and potent poisons on their dual blades to efficiently take down enemies, as well as force them to cough up extra loot. Rogue can be unlocked in Limsa Lominsa. Lancers (LNC) use all manner of two-handed pole arms to deal critical blows to their enemies. Lancers is a straightforward damage class, sacrificing defense for attack power to deal heavy damage, and fighting while moving around the target in order to gain access to combo bonuses. Gladiators (GLA) use powerful sword and shield techniques to keep the attention of their enemies and survive blows that would devastate lesser beings. Gladiators act as tanks and disruptors, blinding, stunning, and disabling enemies while holding their attention with sword combos. Archers (ARC) fire off arrows from afar, hindering their enemies and dealing damage from a safe distance. Archers have access to debuffing Weapon Skills and utility skills, like a group movement speed increase and a backstepping attack. Archers do not use melee-class combos, and instead rely on procs that enhance their shots. Pugilists (PGL) don't use traditional combos, but utilize stance changes that give them flexibility in their combo chains. Pugilists abilities grant them increasing amounts of Greased Lightning, a buff that is the result of some of their weapon skills. Greased Lightning increases attack speed and damage while lowering the global cooldown, allowing Pugilists to unleash attacks faster than most classes. Marauders (MRD) use axes to cleave a path through the enemy's front line and protect the more fragile members of the party. Marauders tank primarily by smashing their foes' faces in and bathing in their blood. By doing so, they restore their own HP. Instead of preventing a large amount of damage like gladiators, marauders react to incoming damage by refilling their large HP pools via weapon skills and abilities.